Rotozip’s range of premium quality spiral and multi saws is quite sterling when it comes to reliability and performance, however, adverse circumstances can damage any tool. 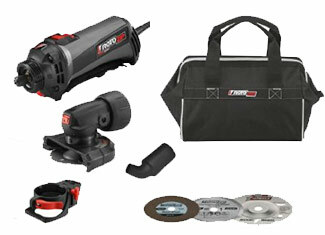 That’s why Repairtoolparts offers a large variety of original Rotozip saw parts that are available at aggressive prices. At Repairtoolparts, we have made searching very convenient and you can find your part by inputting tool model number or tool part number into ‘Repair Parts Finder’ search bar. Having any difficulty? Call us at our toll free number 888 982 6540 for verbal inquiries and phone orders. If you want to ask any technical questions, please use the provided “Ask an Expert” page and our engineers will be glad to answer. Repairtoolparts is committed to provide a seamless online shopping experience for its customers with competitive pricing, dynamic variety and exceptional customer service.